The Labour Minister spoke about the Ministry of Labour’s readiness for the ASEAN chairmanship in 2019 and participation at staff level conferences around seven labour-related frameworks under the theme of “Advancing Partnership for Sustainability”. On February 5, 2019, Labour Minister H.E. Police General Adul Sangsingkeo spoke about Thailand’s obligation for the ASEAN chairmanship in 2019. He said that the Ministry of Labour has played a role as one of the driving forces to become ASEAN chair under the theme of “Advancing Partnership for Sustainability. Prime Minister General Prayuth Chan-ocha, announced the main theme and official ASEAN chair logo on December 21, 2018. Pol.Gen. Adul said that for Thailand’s ASEAN chairmanship in 2019, the Ministry of Labour will be committed to host seven ASEAN conferences around the following frameworks: 1) The ASEAN committee meeting on the implementation of the ASEAN Declaration on the Protection and Promotion of the Rights of Foreign Workers No. 12. The meeting will be for ASEAN senior officials to discuss, monitor and evaluate the ASEAN committee on the implementation of the ASEAN Declaration on the Protection and Promotion of Foreign Workers’ Rights (2016-2020) which will be held on February 12-14, 2019, in Chiang Rai; 2) The 15th ASEAN senior labour officials meeting and 17th ASEAN plus 3 senior labour officials meeting, to monitor progress under the ASEAN Ministerial Labour Cooperation framework. ; 3) The 12th ASEAN senior labour officials meeting to discuss guidelines for measures to promote and protect workers’ rights that are concrete and sustainable. ; 4) ASEAN regional meetings to promote the transition from informal to formal employment in the system, a joint project between Thailand and Laos; Laos will conduct research studies and Thailand will host a meeting to examine and publish research results. ; 5) The 12th ASEAN Forum on Migrant Labour to facilitate a tripartite meeting to exchange knowledge and experience in the process of promoting and protecting foreign workers rights. ; 6) The 10th regional tripartite meeting to promote participation with social partners to provide opportunities to exchange knowledge and experience in the process of promoting and protecting the rights of foreign workers. ; 7) The 8th ASEAN Labor Inspection Academic Conference to exchange experiences on labor inspections Guidelines for promoting labor inspection capabilities. 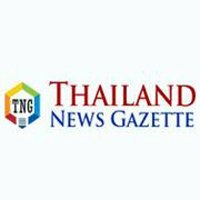 The Labour Minister also urged agencies under the Ministry of Labour as well as employees, employers and the public to welcome attendees from ASEAN countries and join in being a good host as Thailand’s ASEAN chairmanship.